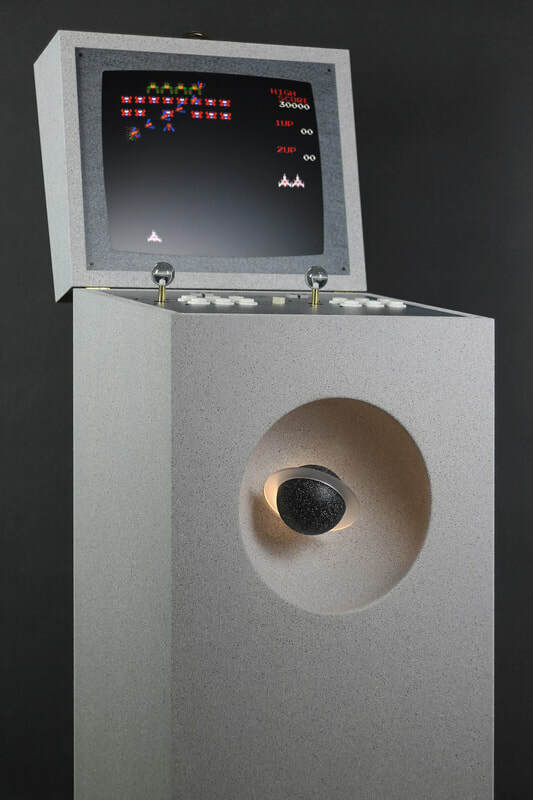 A unique handmade full-size arcade cabinet for two players. This unique luxurious edition has a Limestone finish with authentic texture. The center cavity displays a backlit planet, and the lighting can be adjusted in terms of both color and brightness. To complete the theme, Hultén combines granite laminated panels with joysticks handmade from brass and clear acrylic.